TestTown 2013 is an innovation competition open to 16-25 year olds to come up with original and creative ideas that they think could breathe life back into the high street. Applications will be accepted from this week until the beginning of May. The ten best ideas will be given a £1000 grant to open up their business for real in Dunfermline (our host town) and trade to customers for a long weekend in June. The winner of the competition will then be rewarded with £10,000 to develop their business further. 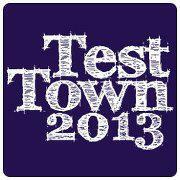 Also on Twitter @TestTown2013 and Facebook facebook.com/TestTown2013. Posted in Miscellaneous and tagged competition, entrepreneurship, innovation. Bookmark the permalink.